Esporão & A Comida Portuguesa a Gostar Dela Própria were also at the Big Day 2016. Set up at one of the stalls at the market, home to different producers and artisans for the day, we were able to see the work of some of those who have worked on the project in recent months. During the afternoon, while the sun began its slow descent, the Big Day Market hosted a party with an infectious bombo (drum) class given by Tiago Pereira. The meal, which brought together three chefs from three different parts of the country, was a surprise kept for the end of the show. 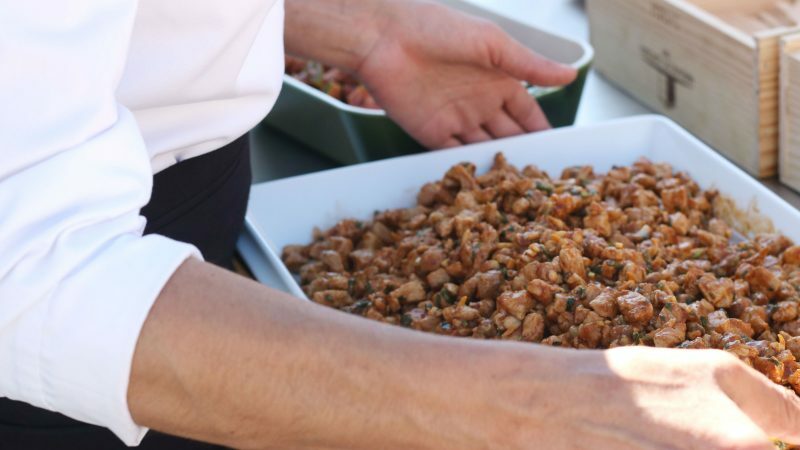 The idea was to prepare something from a particular cut of Alentejo pork, where each chef chose a part of the animal and cooked it the way they wanted. Representing the Alentejo, Chef José Júlio Vintém opted for a less popular part of the pig, the tail, and a more appreciated part, the spare ribs. The chef grilled the ribs with a sweet and sour sauce made from honey, vinegar and rosemary and made coriander pork with the tails. The loin was the choice of Chef José Pinheiro, who brought some Algarve inspiration to the proceedings. 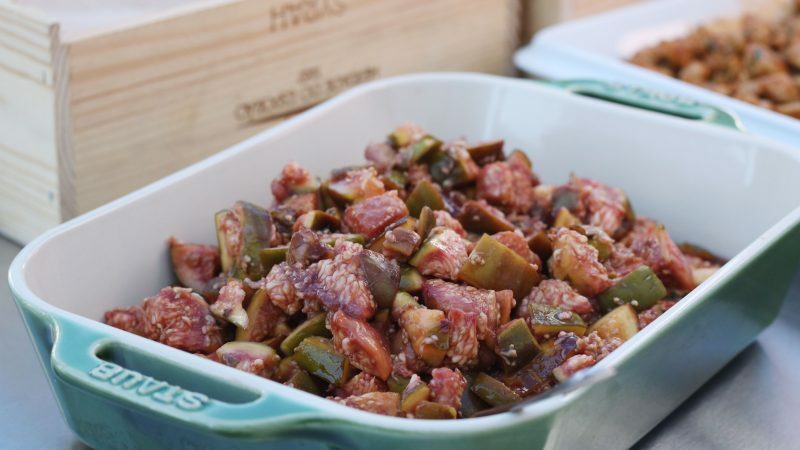 His recipe was minced Alentejo pork, pickled figs and Aragonez tendrils, much to the delight of those present. 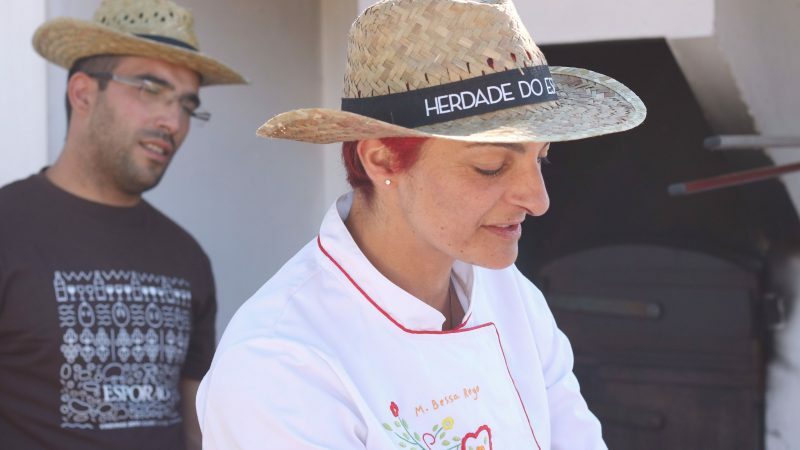 Chef Margarida Rego travelled from Minho to the Alentejo to share her passion for cooking. 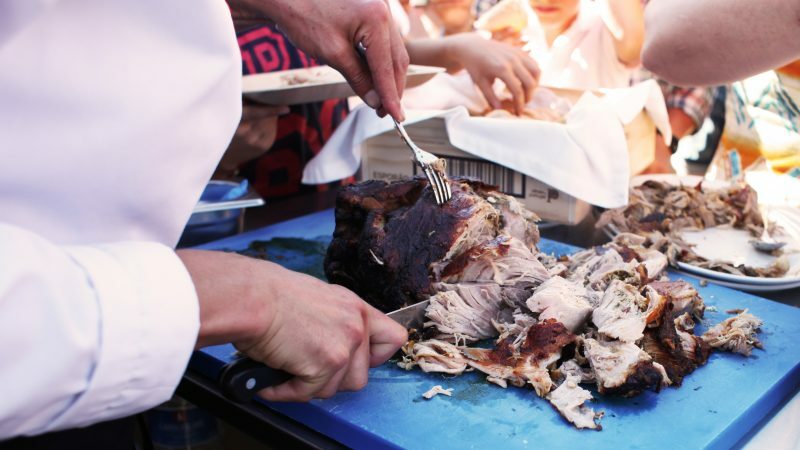 To get to know her better, what better than seeing her do what she loves, preparing a leg and shoulder of pork that was roasted in a wood-burning oven for 5 hours.